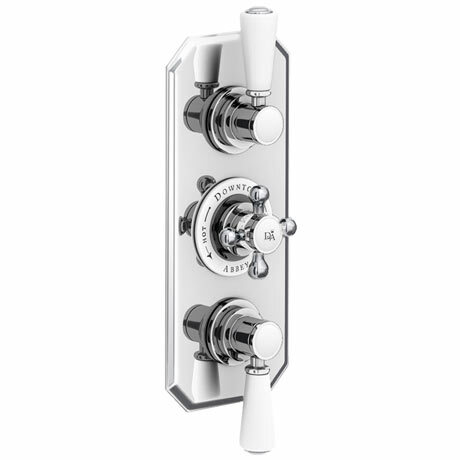 The Downton Abbey triple thermostatic shower valve is robust and graceful with the precision of modern day design. Its distinct ceramic control dial brings substantial elegance to the modern bathroom. Suitable for all types of plumbing installation this shower valve has the added safety benefit of a built in anti scald device should the cold water supply fail. Operates two shower accessories separately or simultaneously.